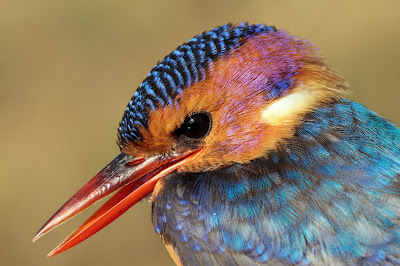 This weekend we concentrated on picking up one or two specific bushveld birds we hadn't picked up to date. Our itinerary was frenetic but rewarding. In hindsight we might have bitten off more to do than we could comfortably chew. Even so, we recorded another 27 species for our 800C. 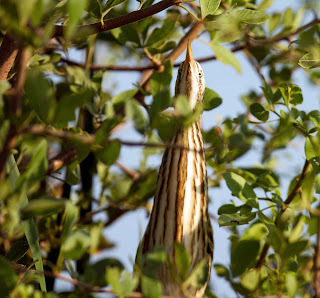 Our intentions were simple - we'd bird an area usually attractive to the more' elusive', post good rains. Although there are many such places even close to home, we decided on Nylsvlei, a natural floodplain in the Limpopo province. 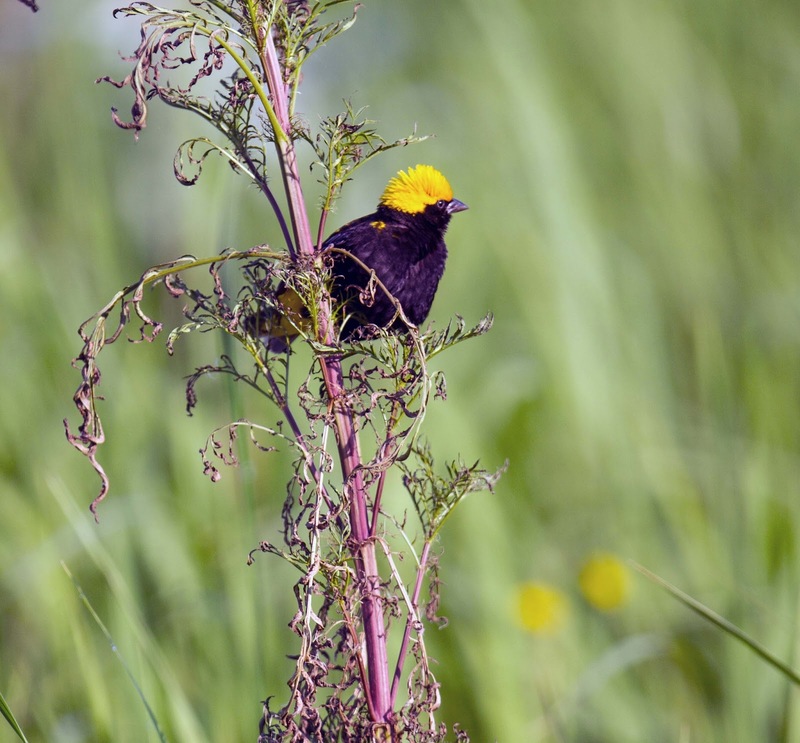 On the way we would try for the Pectoral Sandpiper and Yellow Wagtail reported recently from nearby Kgomo Kgomo, a village in the North West province famous among local birders for its propensity to produce rarities and other sought after species like Corn & Striped Crake. On our return to Johannesburg we planned a brief visit to the Seringveld, near Roodeplaat Dam. At the start nothing went according to plan. We spent an extraordinary amount of time looking for both Pectoral Sandpiper and Yellow Wagtail at Kgomo Kgomo but found neither. We'd logged our first two 'dips' of the weekend. We did, however, record our first pair of African Hawk-Eagle in the area, en route. Other good birds from Zaagkuildrift and new additions to our list included Black-chested Snake Eagle, Gabar Goshawk and Blue-cheeked Bee-eater. Although early in the season we'd hoped for a River Warbler or a Thrush Nightingale to sweeten the pot a touch.... That wasn't to be either! Nylsvlei, further north-east in the Limpopo province, was probably not quite at its best. Vogelfontein, however, lived up to its annual heron-revelry. 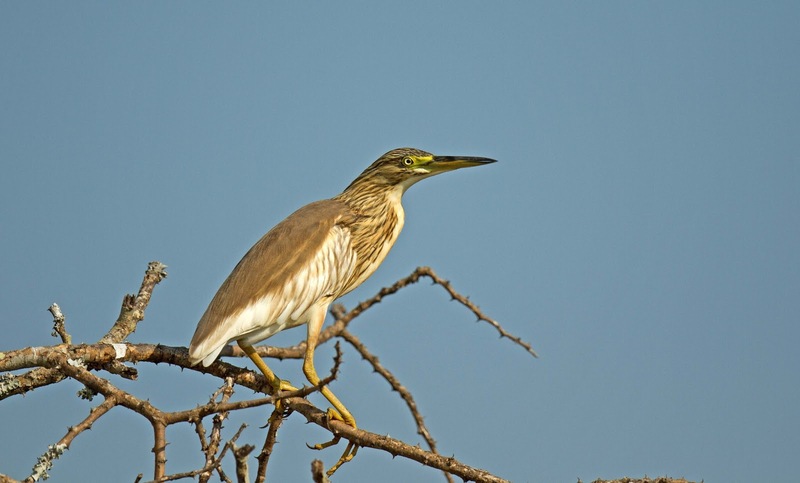 Although Dwarf Bittern was conspicuously absent, the rest were in attendance, in abundance. Yellow-billed, Western Cattle, Little and Western Great Egret, most in breeding masquerade, were common in their hundreds. 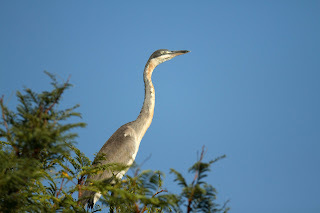 Black, Grey and Black-headed Heron were equally common; Black perhaps less so. Black-crowned Night Heron joined the party later. 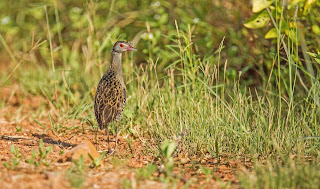 Little Bittern were present in small numbers. 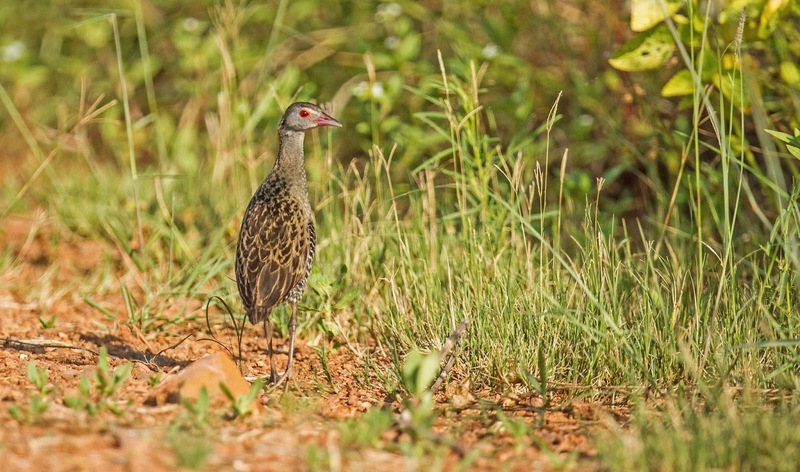 African Crake, Red-chested Flufftail and Lesser Moorhen also offered up good views. We heard both Baillon's Crake and Allen's Gallinule but saw neither. 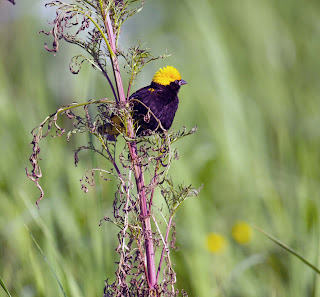 One of the best aspects of birding at Nylsvlei at this time of the year is the overwhelming number of birds usually in Br. plumage. 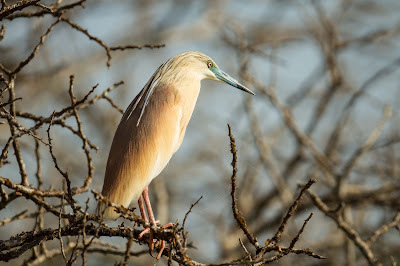 Differentiating between the lime-green-lored Yellow-billed Egret and the smaller Western Cattle Egret, with their rufous-coloured dorsal aigrettes, is straightforward. 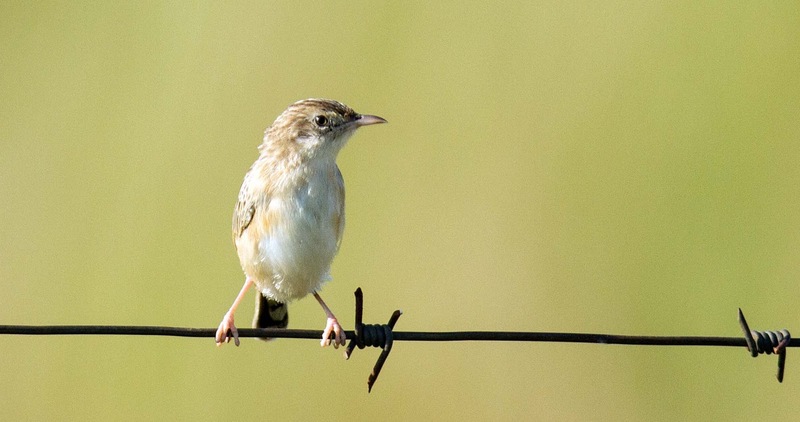 Separating Zitting Cisticola from Desert Cisticola and female Yellow-crowned Bishop from female White-winged Widowbird or even Southern Red Bishop is challenging. Huge flocks of Hirundines (Swallows & Martins) wheeled overhead. 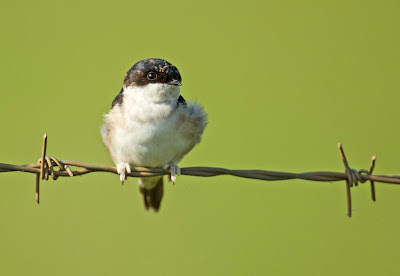 Barn Swallows were the most common. 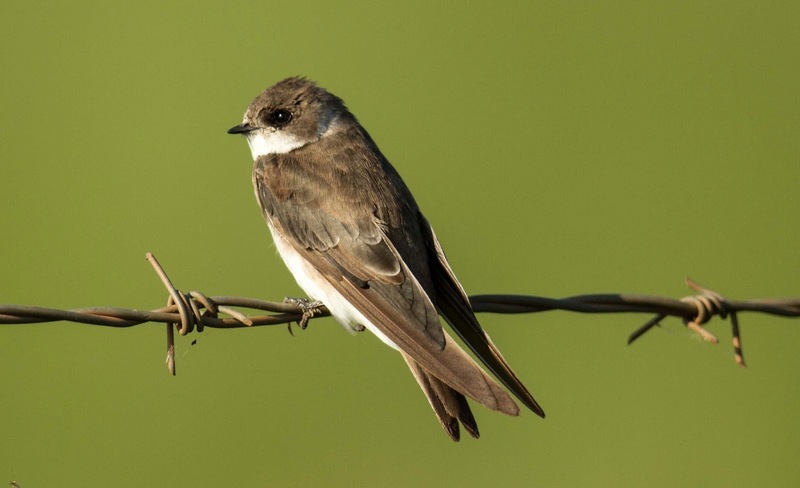 Sand, Common House and Banded Martin were present in good numbers. Lesser Striped, Greater Striped, Pearl-breasted and Red-breasted Swallow were also present. 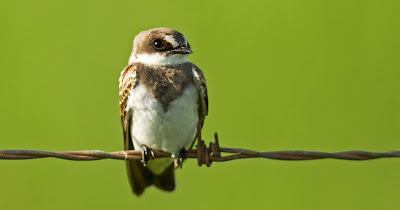 Common House Martin - note the feathered tarsi..
A quick word on our accommodation. Limpopo Tourism & Parks run a first-class facility in Nylsvlei Reserve itself. We stayed in the Heron cottage which was, in a nutshell, simply outstanding. The staff must be commended too. 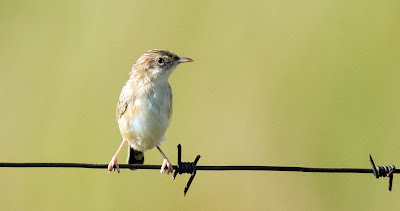 Returning to Johannesburg via Seringveld [near Pretoria's Roodeplaat Dam] we notched up the targeted specials including Green-capped Eremomela, Striped Kingfisher, Garden Warbler and a cracking Tinkling Cisticola. All told a successful weekend's birding.